Pitting the Philadelphia Eagles versus the New England Patriots, the 52nd Super Bowl (a.k.a. Super Bowl LII) is a battle between an established AFC power and a new dominant force from the NFC. The biggest sporting event of the year will usher in a collecting frenzy for the top names. While it may only last for a few weeks, the winner of this game will enjoy a strong boost in the hobby, and the players with big performances will see their value and interest spike. This will be especially true for the winning quarterback. 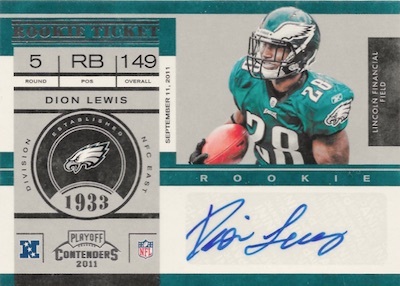 The collecting guide below for Super Bowl LII highlights the top rookie cards and other first-year options for key names. It also identifies some potential surprises for each team. Detailed collecting guides for popular players are linked when available. 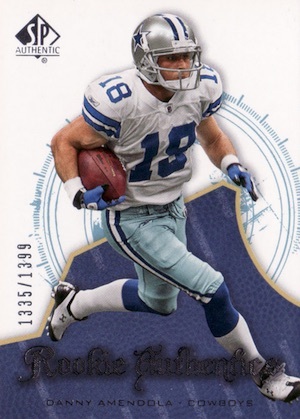 Click on the listings or images below to shop for rookie cards on eBay. The New England Patriots return to the playoffs for the ninth consecutive season and also make their third Super Bowl appearance in four seasons. Easily the top NFL team in recent years, collecting interest remains strong. 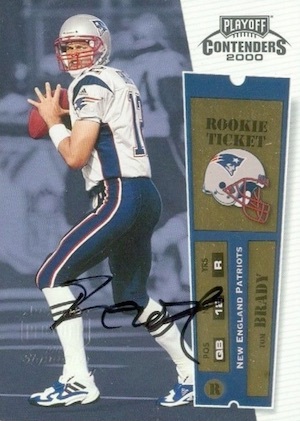 The face of the Patriots for almost 20 years, Tom Brady is a hobby icon and his best rookie cards already sell for a significant premium. Another Super Bowl win would put him at six for his career, a nearly insurmountable record for any player, let alone QB, to match. He also has four Super Bowl MVP awards and a fifth is just icing on the cake. When he is healthy, Rob Gronkowski is the most dominant tight end in the NFL and the go-to option for Tom Brady. While injuries have kept him down the last few years, Gronk could be the key for a Super Bowl win. Tight ends are not regarded the same as other offensive positions, but Gronkowski is the best overall option at TE, helping his hobby standing. 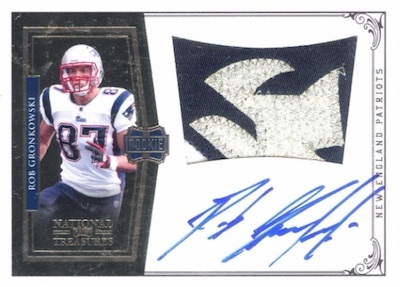 Check out a detailed Rob Gronkowski rookie card guide. A big preseason addition for the team in 2017, Brandin Cooks is arguably the best wide receiving talent on the Patriots. If Brady starts to air it out in the Super Bowl, Cooks will likely be on the end of many deep throws. His rookie cards are all from his days with the New Orleans Saints. Taking on more value based on the injury to Julian Edelman, Danny Amendola has been locked in with Brady during the playoffs. That means he might continue to look Amendola's way in the Super Bowl, and push demand higher for the lone Danny Amendola rookie card. Like Gronk, Dion Lewis can alter a game, but he has struggled to stay healthy. While running backs are very interchangeable for the Patriots, Lewis has seen much of the work lately and looks to have a big role waiting in the Super Bowl. Lewis actually got his start with the Eagles before several lost seasons. He signed with the Pats in 2015. Of course, with the Patriots, you just never know what they have planned other than Tom Brady running the show. Potential stars of the big game include running back James White, who had a huge performance in Super Bowl LI, and Chris Hogan, who is an intriguing wide receiver option with very few cards out there. A perfect example of next man up, the Eagles experienced several tough injuries, including a torn ACL for franchise QB Carson Wentz, but kept on rolling. Although they are underdogs in Super Bowl LII, just as they have been the entire playoffs, the Eagles could very well pull the upset and deny Brady his sixth title. Nick Foles has nothing to lose as he will likely return to the backup role once Wentz is healthy in 2018. This makes him very dangerous. 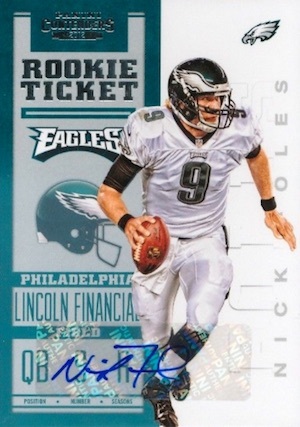 He also has a ton of rookie cards, and we have a full list in our Nick Foles rookie card guide. If the Eagles are to win, they need a big game from Foles. A very talented running back, Jay Ajayi suffers from the crowded backfield in Philly. However, because he is normally the lead back, he will have the most chances to shine in the Super Bowl. Ajayi wasn't even on the Eagles' roster to start the season as he came over via trade from the Miami Dolphins. 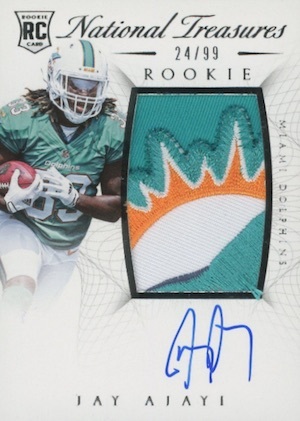 Therefore, all his 2015 rookie cards are for the Dolphins. 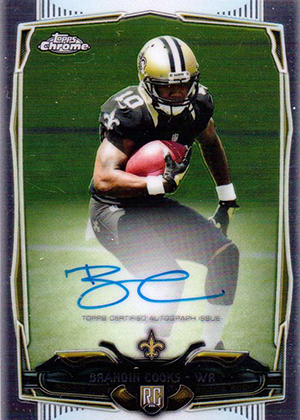 2015 is also the last season Topps had football cards, as well. One of the few tight ends to come close to the level of production seen from Gronk, Zach Ertz had a great rapport with Carson Wentz and that QB to TE dynamic has continued with Nick Foles. 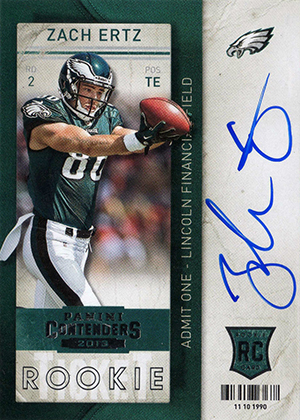 Because he is a tight end, his rookie values are still quite reasonable, and he has a ton of autographs. A free agent signing by the Eagles in 2017, Alshon Jeffery is an explosive wide receiver who spent his first five years with the Chicago Bears. Although his numbers haven't been huge, he seems to be warming up to Foles, catching two touchdowns in the NFC Championship game. 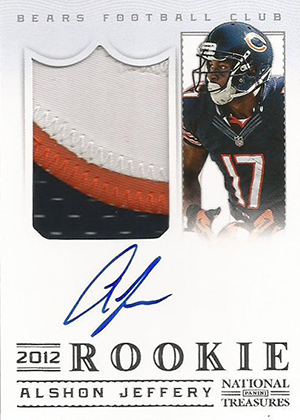 The second-round pick has a large supply of rookie cards in 2012 sets. While the running back situation in Philadelphia is tough to predict, LeGarrette Blount is equally tough to handle when he gets moving. 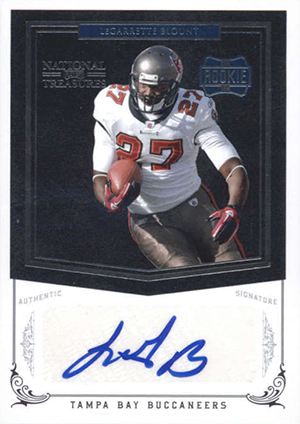 Facing his former team, Blount could see an uptick in hobby interest if he is prominently featured in the Super Bowl. View our detailed LeGarrette Blount collecting guide. In addition to the players above, the Eagles have a few more names that could make some noise. This includes wide receivers Torrey Smith and Nelson Agholor. While he is somewhat buried on the depth chart, 2017 rookie running back Corey Clement has been productive in his limited role and could surprise people.